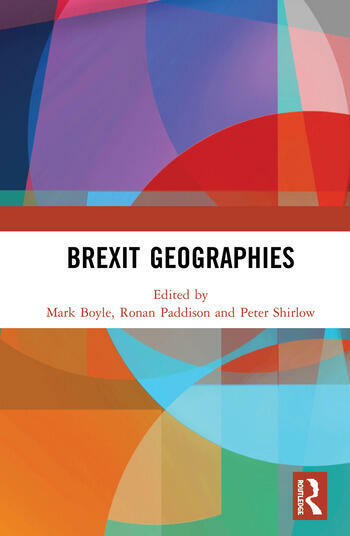 This comprehensive volume explores the political, social, economic and geographical implications of Brexit within the context of an already divided UK state. It demonstrates how support for Brexit not only sharpened differences within England and between the separate nations comprising the UK state, but also reflected how austerity politics, against which the referendum was conducted, impacted differently, with north and south, urban and rural becoming embroiled in the Leave vote. This book explores how, as the process of negotiating the secession of the UK from the EU was to demonstrate, the seemingly intractable problem of the Irish border and the need to maintain a ‘soft border’ provided a continuing obstacle to a smooth transition. The authors in this book also explore various other profound questions that have been raised by Brexit; questions of citizenship, of belonging, of the probable impacts of Brexit for key economic sectors, including agriculture, and its meaning for gender politics. The book also brings to the forefront how the UK was geographically imagined – a new lexicon of ‘left behind places’, ‘citizens of somewhere’ and ‘citizens of nowhere’ conjuring up new imaginations of the spaces and places making up the UK. This book draws out the wider implications of Brexit for a refashioned geography. It was originally published as a special issue of the journal Space and Polity. Mark Boyle is Director of the Heseltine Institute for Public Policy, Practice and Place at the University of Liverpool, UK. Ronan Paddison is Emeritus Professor of Geography at the University of Glasgow, UK. Peter Shirlow is Director of the Institute of Irish Studies at the University of Liverpool, UK.